One day soon, you may not need to stand around trying to watch water boil—it will boil instantaneously as you’re pouring it into your cup. The Duo Smart Untethered Carafe, a portable smart carafe that just debuted at the consumer tech trade show CES, is designed to heat filtered water as it comes out of the spout. 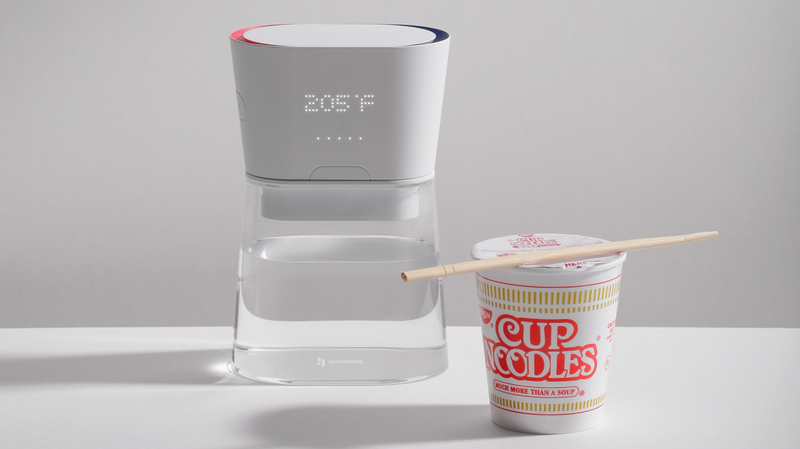 Created by Heatworks, the carafe works by utilizing Ohmic Array Technology, a patented system the company developed that harnesses water’s natural conductivity to generate heat. 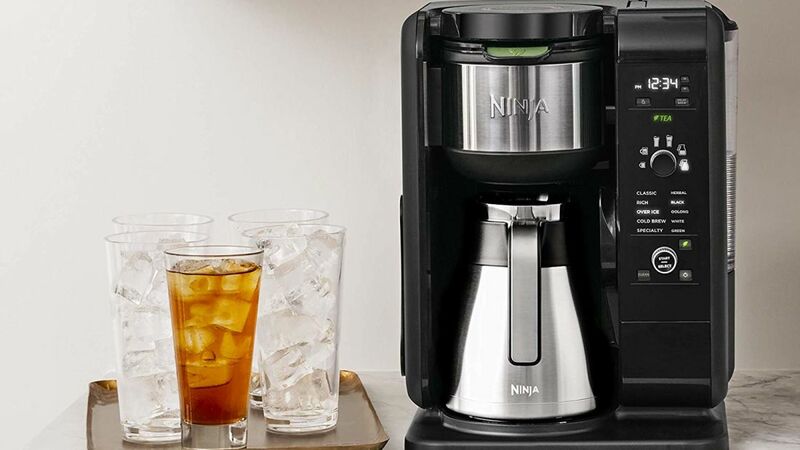 Rather than using heating elements that then warm up the water (which lends itself to lag time), the carafe passes electrical currents through the water to increase the energy state of the water molecules. The result, Heatworks says, is instant hot water. The carafe features an elegant product design by frog, a global design agency that has previously worked on projects like Honeywell’s Lyric smart thermostat system. While most (though not all) electric kettles are industrial-looking and utilitarian, the Duo can blend seamlessly into your minimalist kitchen vibe. It’s battery operated, so you can store it anywhere, but you’ll definitely want to leave it out on your counter so that it's in full view of all your guests. The only problem? You can’t buy it yet, and The Verge notes that the company doesn’t have a working prototype at CES. When it will actually hit the market is hard to say: Heatworks founder/CEO Jerry Callahan told The Verge that the hope is to ship it as soon as this summer, but there is no public target date yet. When it does come out, it will likely cost somewhere below $200. There’s good reason to believe that Heatworks will make good on its promise. The company already sells its Ohmic Array Technology in the form of its Wi-Fi-enabled Model 3 tankless home water heater. And it just announced that its frog-designed Tetra Countertop Dishwasher, which debuted at CES last year and uses the same technology, will soon be available for pre-order, with prices starting at $299. To keep tabs on when the Duo will ship, sign up for updates on the Heatworks website.